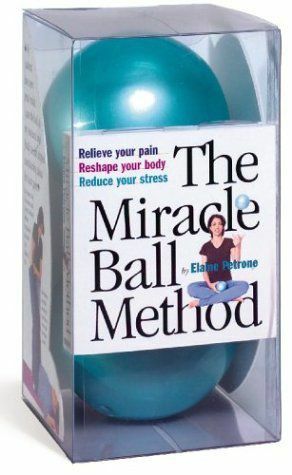 The Miracle Ball Method is a method of stretching and realigning your spine using a couple of softly inflated, four inch vinyl balls. By laying down on these balls and adjusting their positions you can alleviate stress, improve your alignment, and stretch hard to stretch areas. By following the "method" you can aid your body's healing and recovery through stretching and realignment without the need of a physical therapist or chiropractor. 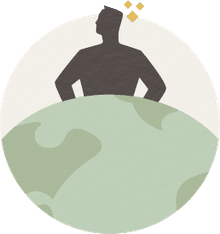 But unlike most of the self-realignment aids on the market, the balls allow you the flexibility to work your entire body from your neck to your feet. Additionally the balls are safe and foolproof. They do not require any difficult postures or erratic movements. You simply lay on them and breath. Yes and no. The "method" is more of a suggestive anecdote. It seems more like it is there to justify spending $15 for a couple of vinyl balls. But on the other hand I'm glad I spent $15 for a couple of vinyl balls. The method is not as scientifically rigorous as your might think it should be. But in reality most people would not get that much benefit from it if it was. The book does a good job of communicating the key point, that the location of your pain may not be the location of the problem. In other words your feet might hurt because your hips are out of place. The book also gives you a couple of good ideas of where to start searching for the problem areas. Once you've flipped through the book you can get started with the balls. For the most part you simply place one or two of the balls under you and lay down on them. Then you take some deep breaths until your muscles stretch. Finding the perfect spot might take some time but it will let you get more familiar with your personal body mechanics and that will reap benefits through out the rest of your life. The balls themselves are great. You can not bust them even when stepping on them. And they are the optimal size for safely stretching and realigning your spine and pelvis. Get a set of these Miracle Balls. That is all there is to it. Stretching on these balls is meditative and therapeutic. They are compact and adaptable for almost any body part. Additionally you will get more in tune with your body and gain a better understanding of your body mechanics by using them. The book, which contains the "method", can pretty much be ignored. The balls, though, are worth it. With the Miracle Balls I can quickly release the tension between my shoulder blades (which previously required a trip to the chiropractor), stretch my lower back and unlock my pelvis (which also required a trip to the chiropractor). Not to mention it relaxes me to the point that I could fall asleep right on the floor. Is the Hunter 140 Daysailer the Boat for You?